Decks are clear for Kerala to emerge as India’s first state with the largest public Wi-Fi network providing statewide access. Chief Minister Pinarayi Vijayan affirmed at the recent #Future2018 event that his government would soon roll out connectivity through 1,000 free public Wi-Fi hotspots with technology handholding from Cisco. The state-wide network will provide citizens access to the internet with Wi-Fi spots deployed in parks, libraries and other public spaces. Cisco has been teaming up with the Kerala government over the last months, setting up end-to-end Wi-Fi hardware for these wireless access points. “This sets an example that other Indian states can replicate. The vision will help harness the power of digital transformation to accelerate economic and social growth in the state,” said Sudhir Nayar, Managing Director, Commercial Sales, Cisco (India and SAARC). 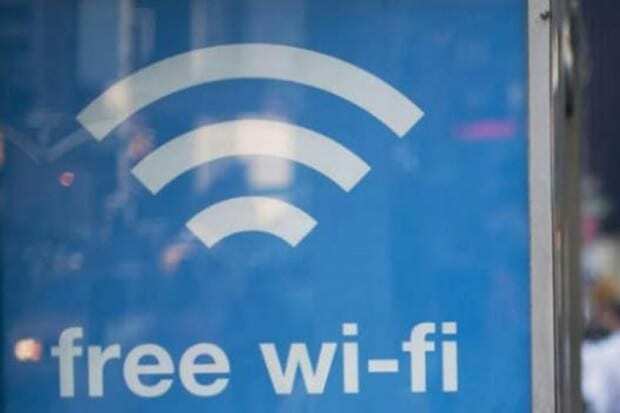 The central government has plans to set up public Wi-Fi hotspots across the country under the BharatNet project. The Telangana government and a few other state governments are also mulling to set up Wi-Fi hotspots. For Kerala, its first global digital summit #Future2018 is intended to project that the 35-million consumption-ready population of the state is ready as a global information and digital technology destination, according to Vijayan, refering to the latest string of knowledge destination initiatives such as Knowledge City in Thiruvananthapuram, Maker Village in Kochi and Mobility Hub in Kozhikode. “We target to increase the floor area of IT parks in Kerala by 10 million sq ft,” he said. More recently, Kerala Technopark is also on the radar of Japanese auto giant Nissan’s global digital hub project. “Meets like #Future2018 is planned once in two years, to have continous engagement with best brains like Microsoft Chief Executive Officer Satya Nadella, head of artificial intelligence unit Joseph Sirosh, former RBI governor Raghuaram Rajan, Infosys co-founders Nandan Nilekani and Kris Gopalakrishnan and also Harvard University professor Gita Gopinath,” SD Shibulal, chairman of the High Power IT Council (HPIC), Kerala said. HPIC has also mooted a network of 150 digital achievers. The Kerala government had started its IT initiatives with a digital literacy programme in 2015, that trained in basics like internet, email, social media and use of tablet computers. This training was backed by Tata Consultancy Services. What helped was that the state has a long time lead in literacy and education. “Digitally empowering the citizens is a key goal, after the state’s digital literacy programme. For this, we are rolling out projects such as K-Fon (Kerala Fibre Optic Network) and giving free internet connectivity to 20 lakh BPL (below poverty line) families,” said M Shiva Shankar, Secretary (IT), Kerala. The K-Fon project is estimated to cost Rs 1,000 crore and will take at least 10 years to reach break-even.